Aquavista is the newest exclusive condo near the water in North Bay Village, located in just a short drive from Miami, South Beach and Bal Harbor. 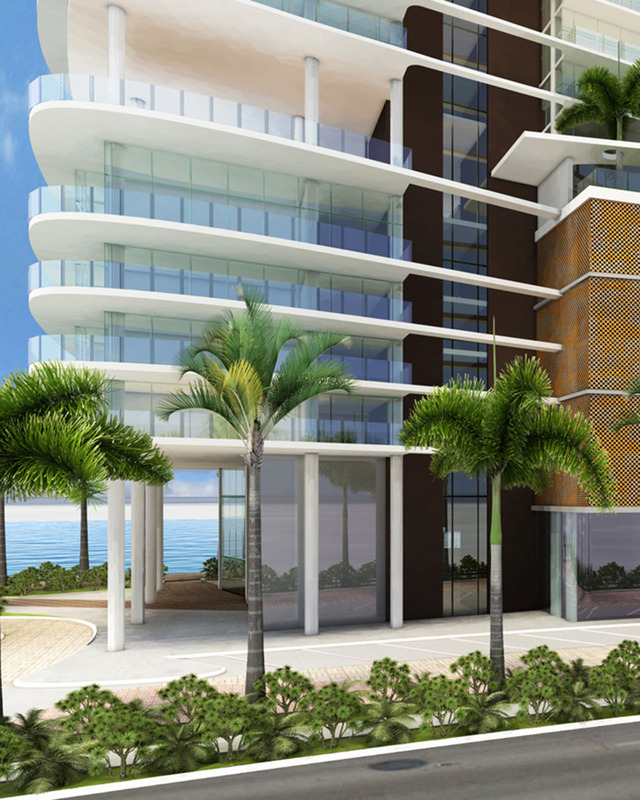 Aquavista is a 25-storey building which includes only 132 luxury residences. Elite finishes and floor to ceiling windows emphasize spacious layouts and breathtaking views of the Bay. These appartments boast of stylish built-in furniture in kitchens and bathrooms, high-grade stainless steel appliances, granite countertops, and tailor-made illuminated mirrors. For the most demanding customers there are luxurious duplex penthouses with private roof terraces and views of the Bay, and exclusive collection of 10 three-storey townhouses with private patios leading directly to seafront. All Aquavista’s residences boast of spectacular views of the Bay both to the north and to the south; corner apartments allow admiring 360-degree views. Aquavista is one of a few buildings in North Bay Village with its own deep-water harbor for 50 marinas, as well as a five-story covered parking will be for the benefit of residents. Luxurious amenities for Aquavista’s residents include infinity swimming pool on the roof, cabanas, gym, sauna, round the clock security, Valet parking and Concierge service. North Bay Village is a prestigious village located on three Islands and having its own police, fire department and elementary school. Beautiful and safe residential community is ideal for family life.